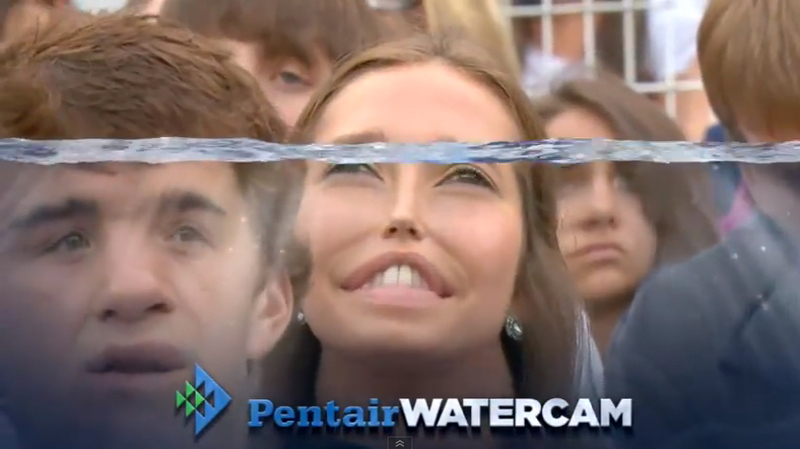 Pentair is a global water, fluid, thermal management, and equipment protection company. 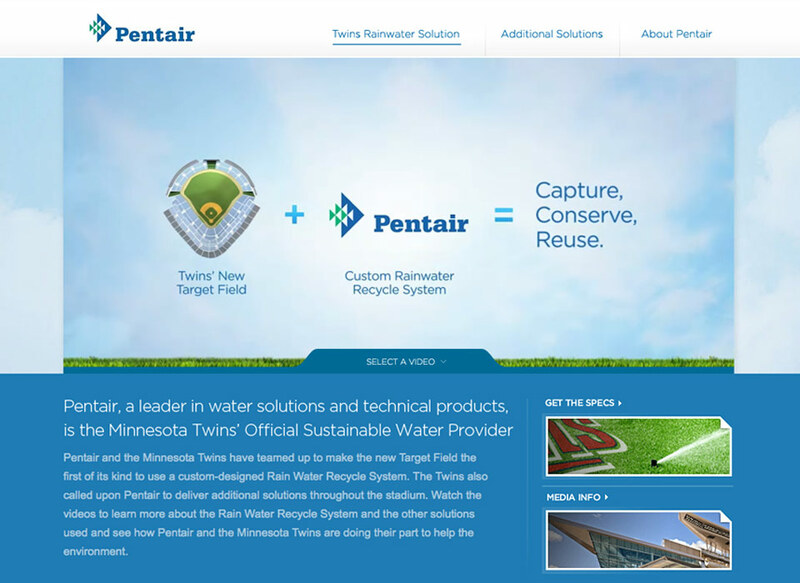 Pentair partnered with the major league baseball Minnesota Twins in 2010 to develop and install the ballpark’s innovative Rain Water Recycle System (RWRS), one of the highest-profile sustainable water solutions in sports. 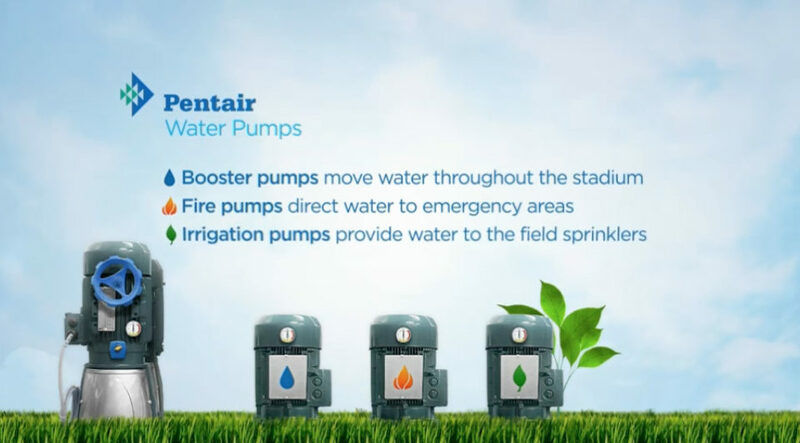 The RWRS captures, conserves and reuses rain water for irrigating the playing field and washing down the stadium seats, thereby reducing the ballpark’s need for municipal water by over 50 percent, reducing their need for municipal water by 50%. 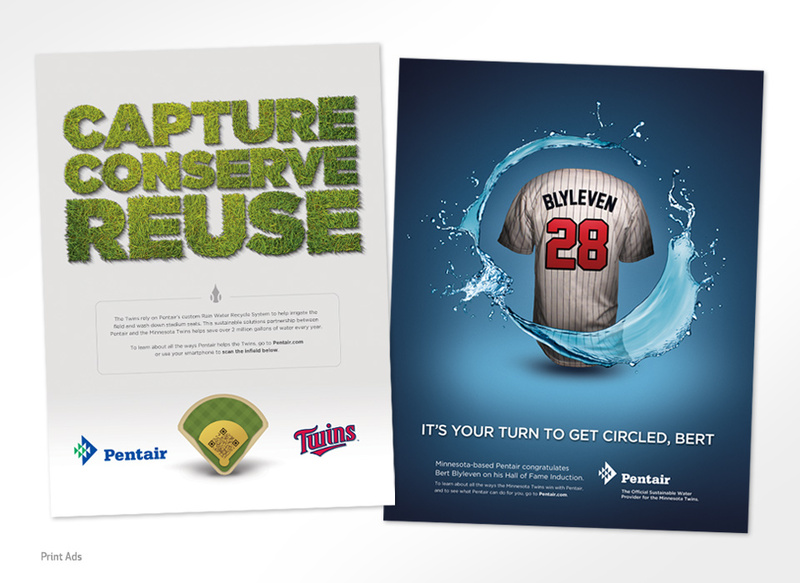 Pentair invited us to promote how Pentair’s innovative solutions made Target Field, the home of the Minnesota Twins, a Leed Certified facility. 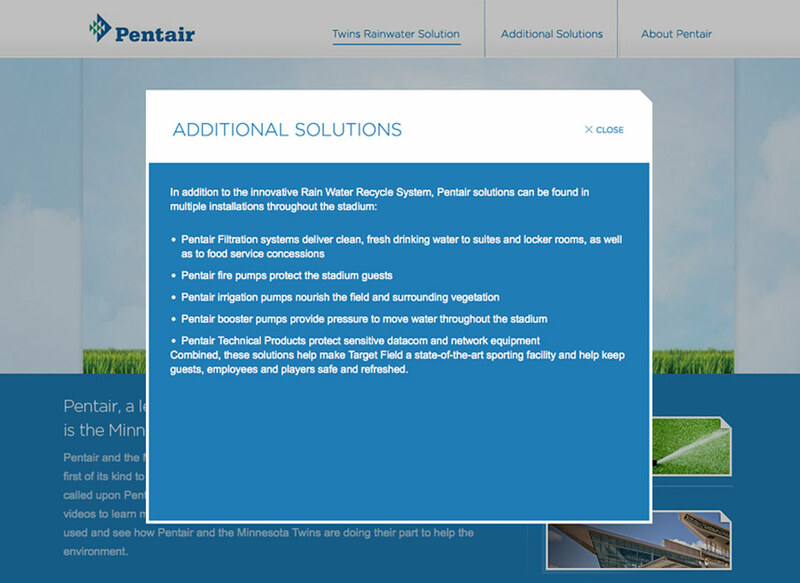 We produced print ads, videos and a microsite that detailed the systems and processes used by Pentair throughout the Twins stadium.